I am a Hindu and currently in the state of exploring the various facets of this mighty religion, often unsuccessfully. Somehow exploring religion was never a part of my growing-up years. There was never any talk of the Vedas or the Upnishads, or an excessive display of our religiosity. My maternal grandmother would read the Ramayana, but the kids were never a part of it, except for a few interesting stories most of which I do not even remember. However, generally Muslim households are slightly different. There is a lot of emphasis on reading and memorising of the Koran. The fact that there is only one holy book, of course, helps. Coming back to the title of the post, its something inspired from a fantastic book I am currently reading, Empires of the Indus by Alice Albinia, where there are references to these opening lines of the Holy Koran in reference to a Sindhi pir. The book is a gift from Bhavana Singh and I can not thank her enough for this. The book got me reading on the subject and I couldn't resist writing a bit about it here. 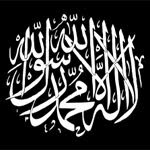 These lines are known as Shahada, and a single honest recitation of the Shahadah in Arabic is all that is required for a person to become a Muslim. 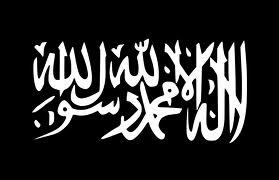 This declaration, or statement of faith, is called the Kalima, which literally means "word". Its fundamental first phrase "Lā 'ilaha 'illā llāh" is the foundation stone of Islam, the belief that “there is no god but Allah”. This is the confession of "Tawhïd" = "oneness". The second phrase "Muħammadun rasūlu llāh" fulfils the requirement that there should be someone to guide in the name of Allah, which tells "Muhammad is Allah’s Rasūl, Nabi, the Messenger, Apostle". This is acceptance of the "Nabuwat" (prophethood) of Muhammad. Over the past centuries, these holy words have been represented in various forms. I have included a couple of the more conservative ones here. you grasped more from the book than i ever did! thanks a lot. this post is very close to my heart too. i have used many references here, wikipedia is awesome with good, concise information. I am an ardent follower of Hinduism but I can't resist admiring your exploration of territories lying 'Out of the Box' What else can I say? I really feel proud of my association with you in the past. Can I make this link public on my FB profile? thanks anshuman :) i remember our indian history talks...used to be good says! and of course u r most welcome to share it on ur FB profile. I almost died, but was saved by the phone call! Coke Studio. Chambe di Buti. Exceptional Music.